Questions asked by Emilio Cicco, from Crítica de la Argentina newspaper. Your theory about hunger is very interesting when you say that we all feel hunger for something. What would you say is the most difficult "hunger" to erradicate? Probably ignorance and limiting habits – both of which are qualities that avoid the issue of finding out what we are really hungry for. Socrates said man know thyself which means knowing who we really are on all levels of our being and not being ignorant as to the existence of the divine essence within us which is the only source we all share that has the power to eliminate all human hunger. Nonetheless the good news is that this Divine inner force is always there and ready to reveal itself the moment we seek it or seek to live in peace or seek self knowledge. Is it possible to live only out of air? No. We must be able to tap into the cosmic force of prana which is not air but the original creative life force that some call chi, mana, divine love or God. Air is just an element like water, earth or fire. To live on prana we need to access three higher elements that abound throughout creation. These are Astral Light, Akasha and Cosmic Fire. How many cases do you know of people who have stopped consuming food? I am told there are around 40,000 people now with this ability but it is hard to keep track of as my books are in 18 languages and many people who do this are not public about it and speak of it with discernment. However I personally know many. 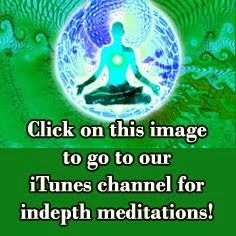 What are the similarities and differences with the sun gazing techniques lauched by Manek? Solar energy is external – prana flows through the atoms via the inner planes. We use internal methodology via the expansion of consciousness and the laws of the higher light science that govern magnetic attraction. Pranic living is a science and also a spiritual journey. Solar gazing allows for anyone to absorb cosmic energy via their eyes into their brain which in time alleviates physical hunger. Both systems work well for many. Why do you think that you are being criticised for being "too political"? 1) Discover The Prana Program's gifts and live it all experientially thus proving to myself beyond a doubt its infinite possibilities as outlined in all of our books. This is a journey I intuitively began preparation for as a child. 2) Research all that I could on the subject, write about it and offer my research to the world in a pragmatic and simple way as possible. This included researching and simplifying data in the ancient and hidden mystery schools and personally undergoing various alchemical initiations. 3) Be a bridge regarding The Prana Program between the eastern understanding, and my own experience of prana, and introduce the benefits of increasing the pranic flow as widely as possible to the west in a way that supports the paradise agenda. 4) Find and support other proponents of this - Hira Ratan Manek, Zinaida Baranova, the Bigu states in the Qigong networks - and introduce their methodologies through our networks. 5) Be a media spokesperson for The Prana Program and via holistic education principles utilize the media to anchor The Prana Program reality in the morphogenetic field. 6) Set up both innernet and internet communications systems to share our research en mass as per my constant touring, books and websites. 7) Introduce The Prana Program and its benefits through political networks, and formulate an effective program to combine and share our research with existing aid and resource redistribution programs via the United Nations and others. Over the last decade we have achieved points 1 to 7 and have been supported by great Grace as we always are when we fulfill our blueprint. It was not in my blueprint to give a year or two of my time - as Hira Ratan Manek the solar gazer has done - to personally be involved with extensive medical and scientific testing. Yet it was in my blueprint to act as a cosmic reporter and share the results of Hira's testing which has essentially proven the same thing - that a person can access enough prana, as an alternate form of nourishment so that they are free from the need to take physical food. With all of this accomplished it is so nice to now move on to the more pragmatic applications of the agendas of the Embassy of Peace knowing that people will experience this freedom of pranic living in their own time, when their resonance is right and when their hearts are open to such things. Fulfilling our pre-agreed agendas as joyously and with as much integrity as we can is always such a satisfying thing to do even though it is sometimes tempting to look back and see easier pathways to achieve it all. Still we do what we can as best we can in any given moment and from all of this we grow and learn. What´s your task in the Cosmic Internet Academy? Education, education, education PLUS to eventually close The Embassy of Peace because it is no longer required in the world. The CIA website is about to be completely overhauled to support the complete Embassy Agendas as outlined in our free e-book on this and also in the videos listed below. 1-Embassy of Peace Personal Harmonization Program - PHP - Personal Harmonization Programs with Peace Ambassador Jasmuheen - designed to increase personal & global harmony, health & happiness levels. Global Harmonization Programs with Peace Ambassador Jasmuheen - designed to increase personal & global harmony, health & happiness levels. 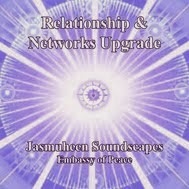 Also offering specific programs & projects to address & harmoniously rebalance global areas of disharmony. 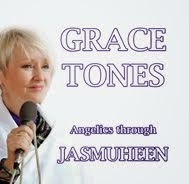 A series of videos covering extraterrestrial intelligence, beings of light, universal law, telepathy, earth's future evolution and more as Jasmuheen and the Embassy of Peace help to prepare humanity for emerging into higher realms of consciousness. 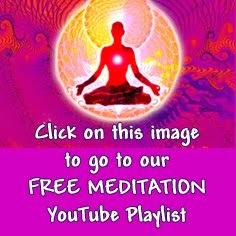 In this playlist are also offered meditations to expand our own consciousness so we can connect with beings of light from the interdimensional realms. We are also interested in educating people about pranic living as per the following article we recently wrote. Simplistically, there are two pools of energy within every human being that are connected with our ability to enjoy pranic living. The first pool of energy or inner pool is the essence of an energy that is filled with love and wisdom, an energy with a consciousness that is here to experience life in the plane of duality. Around this pulse of light or pure pool of energy is another pool of energy that represents our personality in this plane. This outer pool represents that which we have become since birth due to our environmental and cultural conditioning and experiences. To enjoy pranic living and the freedoms it brings - such as deep contentment, freedom from all hungers and permanent peace - we need to turn our 5 senses inward, and focus on, and get to know, and then completely merge with that pure inner pool. Because of the purity of this inner pool, as it grows and floods through the outer pool and then radiates through our Being into the world, we become free of many limitations. Also ... as it grows and pulses out through us it nourishes us on all levels so that we no longer have any physical, emotional, mental and spiritual hungers. This is because of the type of energy this inner pool is. If we ignore it, this pool still pulses away silently within us, providing the life force fuel for our existence, as the outer world continues to absorb and challenge us. Ignoring this inner pulse keeps our brain wave pattern in the Beta energy pulse and our lives go through the normal ups and downs of existence until eventually, for various reasons, the physical system breaks down and dies. Then this pure inner pool of energy no longer has a form to surround it and so it is freed to be magnetized back to the realm of existence it descended from. What it does then is another discussion for another time. However if we can also do as the ancient Yogi's of India suggest, and turn our attention on this inner pool, and ask to feel its love, and know and be its wisdom, and to experience all of its gifts. If this IS a sincere heartfelt intention, then the Universal Law of Resonance will respond to do exactly as we have intended. 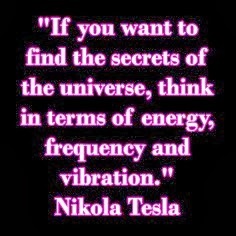 This is just science where like attracts like and the more we focus on something, the more it grows in energy terms. Whenever a human being seeks to experience the purest aspect of their nature in a way that is beneficial to all, they are universally supported. How do you imagine nourishment in the future? The nourishment we can all access now is pure, perfect and fulfilling in a way that creates healthy and happy people who will then naturally choose to live in harmony in our world with all life including the animal and plant kingdom. This force is called God or the Divine One Within or our I AM Presence, Monad or Atman and pranic nourishers live by its light and love. 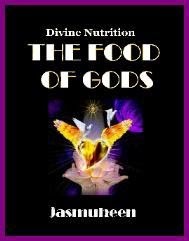 If this force can bring universes into being and provide us with bodies then it can also deliver directly into our systems our breakfast lunch and dinner via vitamins etc. Which, in your opinion, are the three main mistakes of the modern human being and which the remedies to amend them? For me nothing is a mistake if we learn from the experience and become better for it. 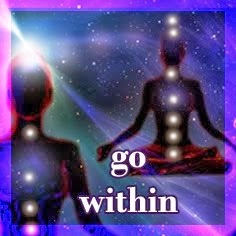 This is what so many have now done and so we gather and share to bring into being higher paradigms that benefit us all. My personal interest has always been about energy field harmonics as per the below article I have just written for our newsletter. The blending of energy streams occurs all the time within us and around us for all life is fluid in essence. All energy streams are directed by the consciousness contained within the stream, the collective pulse of each streams inhabitants. Individualised yet part of a whole, each bubble of consciousness within each stream can move throughout the matrix of creation at will. No bubble is fixed in place and each bubble shares the beat of all the streams yet many feel its pulses in different ways. To see the way energy streams are constantly rising, changing, meeting, greeting, merging, playing, expanded and changing direction within the web of One, is like watching cosmic cinema, a ballet of interplay. 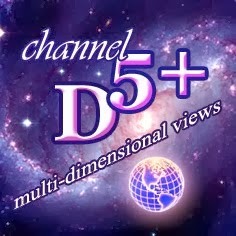 To then discover that all of these energy streams are also interconnected and have a multi-dimensional nature that we can also experience, is another amazing layer in energy field science; to then discover that all of it is controlled by the mathematics of magnetic attraction, and the Divine laws of the universe, also turns on our own inner "Ah ha" switch of revelation. Revelation allows us to relax then contemplate then hopefully apply the insight and so become expanded for it - this expansion, that comes from life experience, in turn magnetises us into a slightly different rhythm or stream of 'Being'ness. Sometimes revelation comes so fast and true that it changes us on the deepest levels so we are never the same again. This can trigger an 180˚ spin shift in our energy flow direction, locking us so powerfully into alternate paradigms whose flow we seem to be jettisoned into. Life experiences do this all the time. Our course in life is set by our perceptions and reactions, and also by the blendings that occur as we mix with other energy streams and merge membranes with each other via the process of natural magnetization. At this point in our evolution, energy fields are more fluid than ever before with new blendings occurring every moment as many of us marry now with purer interdimensional currents. Once we have set in place, within our etheric and cellular structure, the perfect baseline programs, we can then relax and enjoy the ride and flow through purer energy streams in the matrix that deliver very nourishing experiences. Baseline programs - as we have shared before - drive energy fields into a specific direction as chi follows thought and the universe reflects back to us our own conscious awareness. In the game of energy field fine-tuning many now have both awareness and also experiential understanding of energy field flow. For example, someone may gain an awareness and consequent experience of bathing energetically in a strong prana field flow. The Prana field flow is the base current in the matrix that nourishes all potential life into being. 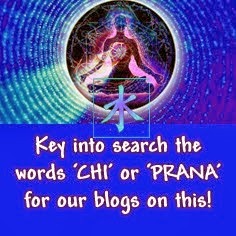 As such all life has prana as its base activator rhythm. A base activator rhythm combines programs and frequencies that then interact to provide certain outcomes which can then be guaranteed to deliver set results as it is all based on the science of energy field harmonics - no spirituality, new age or religious beliefs - just science. An energy field scientist may then consciously choose to explore matrix harmonics in a myriad of ways. Each stream can be so absorbing and each stream can only be magnetised to us because in some way it holds a mirror to our own conscious awareness of the matrix game. Some see 'God' as the main field driver of the matrix game, a pulse of pure intelligence that is held in a bed of pure love. This blending, of the pulse of pure intelligence and the pulse of pure love, brings a power into being that reweaves itself through us quite naturally to deliver many gifts when we are open to its pulse. This pure 'God' pulse radiates through all grid points that form the matrix, interconnecting rays of light with flows of celestial harmonies and waves of love and more - all of it is constantly gelling and blending in a mix that provides the purest flows of nourishment to any life that springs alive within it according to the laws that govern interdimensional and multidimensional existence. Understanding these laws and how they operate, allows us to change our own choice or mode of operation within the matrix, thus we can manoeuvre ourselves individually and also collectively, into new energy streams that hold rhythms that enhance us personally and also as a species. Hence energy field science becomes a fascinating study for anyone open to such paradigms and beats. To me it is just music, mathematics and formulae, which result in harmonious or disharmonious patterns of being. Our collective rhythm just is. It is the result of who we are now and how we co-create. Some feel it all just happens haphazardly in a random sequence of events where sometimes we are victims in a greater game that we cannot alter or control. Others flow with faith, trusting in ancient texts that may carry ancient prophecies into fulfilment - if that turns out to be the will of the collective. Others see themselves as equal players in a game we design to test our skills, a game that is altered constantly by who we choose to be at any given time. Some know the master within, that God-like part of themselves that is already ascended, whose wisdom is truly loving and wise. Some blend so deeply within this essence within that the walls of duality disappear and the experience of the Law of Love within its Oneness game kicks in and be comes real and not conjecture or ideal. All realities add pulses to the energy fields of life, and all of our realities grand or limited mix and blend constantly around and within us to form part of a cosmic soup that also carries additional flavours. Our collective beat then determines which realms we can access and when. Easy. It's just a matter of blending. Rhythms flow throughout the matrix, some pulse sweet, gentle and slow, some pulse with a deeply loving beat that is actually the cosmic heart offering a consistently nourishing rhythm for its creation to bathe and be reborn in anytime they choose. The "Harmonics of the Heavenly Heart" - our focus this year - is actually a formula that allows us to experience the purest streams of love within the matrix of creation; streams that satiate, satisfy, harmonize and free; a stream with a pulse that can be pumped up or toned down according to our collective focus. 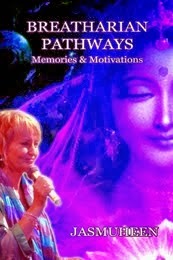 Many on Earth have now shifted their personal focus to look at new rhythms and ways of being. 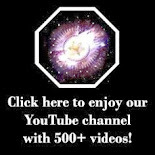 Data regarding prophecy and scripture, on 2012 time and more, now floods our internet, along with 'future humanist' discussion, advanced nanotechnology, robotics, genetics and more. Ancient tools, mystery school insights, awareness and futuristic views, all of this is also blending to inspire and open us all to higher views. Being conscious, aware of who we truly are, by stripping back layers to find the pure essence of our own Being, to find and feel something pure and free, to bathe in this force that is so pure that it can change the course of our own evolution with grace and style, all of this is available to us now as this force is pure, unpolluted and perfect and it flows within us all. And it is this force that we have in common - regardless of the rest - the trials, the tribulations and the daily living tests. Yes being human for so many is hard but simultaneously being a divine Being in human form is a blessing there for us all to know. Being fully present with our hearts beating to the Divine Rhythms in our chest, being flooded by this love pulse and feeling what it knows; being open then of inner eye to see the universal flows all of this is here for us now for there literally are so many rhythms to tune to, so many songs to know and so many familiar feelings that will set our skins to glow. Matching, merging, blending, being, revealing, relaxing ... all here now.